Confession: I seriously loved my lava lamp as a teenager. This one doesn’t get hot, but should offer the same level of fascination for kids. 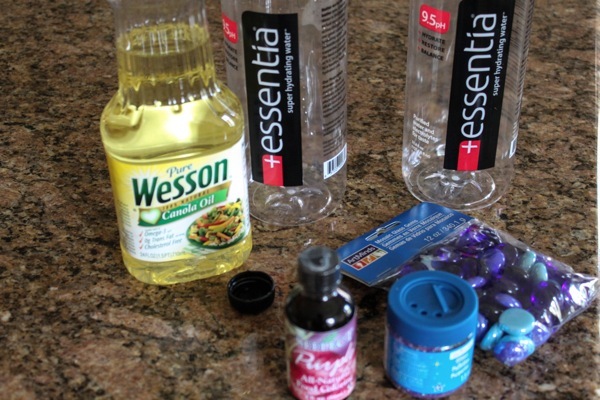 All you need is a plastic bottle, oil, food coloring, and effervescent tablets: Alka-Seltzer, PepFizz, etc. Fill your bottle or jar ¼ full with water. Pour oil until the bottle is nearly full. Add a dozen drops of food coloring to the bottle. Watch as the food coloring falls through the oil and mixes with the water. Break the Alka-Seltzer tablets into small pieces and drop one of them into the bottle. As the tablet hits the liquid, it starts fizzing. It is just that easy – the colored bubbles start floating and dancing around the bottle just like a lava lamp. Plus, when the bubbling stops, add another piece of Alka-Seltzer tablet and enjoy the show again. I love this project for spring break because it is so simple! You could make your lamp even more interesting by dropping in glitter, googly eyes, or small plastic toys. Gets the kids out of the house? Check. Burns off energy? Check. There are plenty of DIY tutorials about how to make your own bubbles, but these ones are super strong. It uses glycerin to create thicker bubbles that are stronger and last longer. It also means you can blow super big bubbles. Clean container with lid – needs to hold up to 8 cups. That is all it takes! Try experimenting to see who can blow the biggest bubble or who can blow the most bubbles with one breath. 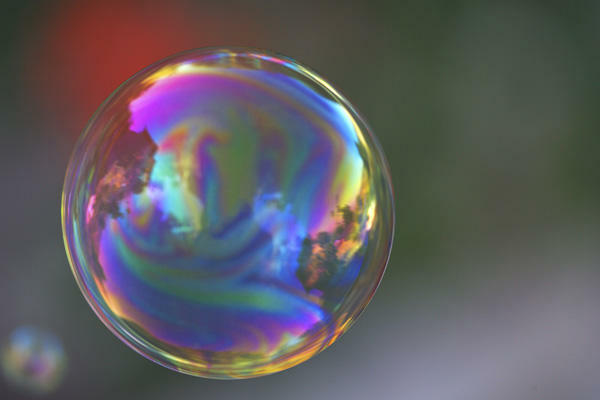 You could also experiment with making your own giant bubble wand to make super huge bubbles. Nothing quite compares to the childhood memories of spring break, but it can be difficult to keep your kids entertained all day. And hey, sometimes the creativity generator that is our brains gets rusty. Do you have additional ideas for super engaging crafts? Please share your ideas in the comments below!